Alongside the 10 smartphone, HTC today announced the Ice View Case. This case is similar to the Dot View Case, but makes big improvements in usability. 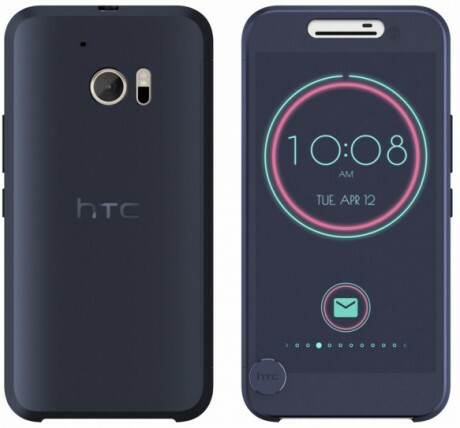 HTC said it found the Dot View Case offered limited resolution and, worse, was practically unreadable outdoors. The company reimagined the case with a semi-transparent front surface that can take advantage of the full pixel count of the underlying display. HTC 10 owners can see and answer incoming calls, skip tracks, and take pictures without opening the case. HTC didn't say how much the Ice View Case will cost. The HTC 10 is here to wage battle against flagships from Apple, LG, and Samsung. This Android smartphone is perhaps more evolutionary than revolutionary, but that shouldn't take away from its attractive design, powerful multimedia features, and excellent performance.